Chances are you have seen or heard about the Chevrolet Cruze. Since its debut in 2011, GM has done an excellent job at marketing this world class car. It has received praise and sold well in countries all over the world, making it one of the most successful new vehicles to arrive on the market in years. The previous generation of Chevrolet’s compact car did nothing to excite me, but that changed with the arrival of the Cruze. As a buyer who is looking to replace their own car within the next year, the Chevy Cruze has been on my radar. 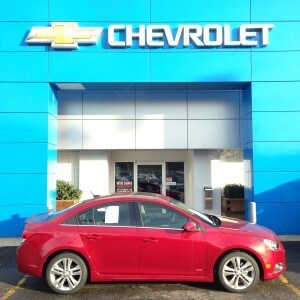 So I took a 2014 Chevrolet Cruze out for a drive around Vancouver and Coquitlam to see how it performed and to let you know some of the benefits of this class leading compact car. When buying a vehicle you want to know how it will perform in your local environment. As someone who commutes from North Vancouver to Coquitlam everyday, I spend a lot of time behind the wheel and have three concerns that top my list: long commute times, high gas prices and a lack of good music. My current car is a V6 powered, 2002 sedan and I am looking to replace it in the near future. It uses too much gas, has horribly uncomfortable seats and does not integrate any of my technology. As such, I saw this as the perfect opportunity to test drive the Cruze to see if it was a vehicle I would be happy with. Spending between 90 and 120 minutes in my car everyday, I need something that is going to be comfortable. Nothing is worse than staring at a line of never ending brake lights and dealing with a sore back or cramp in your knee. When I took the Cruze out for a drive, I was able to quickly find a driving position I liked. The seat had more than enough leg room for my 6 foot 3 frame, and I even brought it forward one notch. The adjustable height and lumbar also made sure that I was accommodated and the padding was not too firm. The other thing I really appreciated was the Cruze’s visibility. There are no large pillars obstructing your view and it is very easy to see whats behind you (especially when equipped with the available rear vision camera). The other major problem I currently have is the price of gas. Right now gas is fluctuating between $1.25 and $1.30/litre. In my current car I am spending roughly $60 a week on gas. I purchased a V6 powered car because I was not willing to sacrifice performance for efficiency (even though my wallet wishes otherwise). 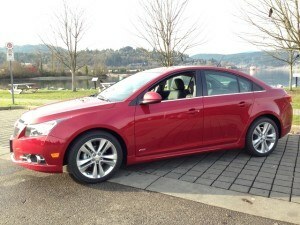 When I took the Cruze for a drive, I specifically selected a model with the 1.4L turbocharged 4 cylinder engine. After some quick accelerations and jumping out to pass a few cars I found (much to my surprise) that this 4 cylinder has more than enough power to suit my taste. And the best part is that it would drastically reduce my monthly fuel bill. When you don’t need the power, the vehicle operates as a normal 4 cylinder, but the turbo has the available punch when you need it. Like much of the world, I admit that I am fully addicted to my smartphone and having a vehicle that does not integrate my phone is frustrating. Right now if I want to listen to my iPhone or iPod, I have to hook up my FM transmitter, find a station, dock my phone and hope I don’t pick up any interference. 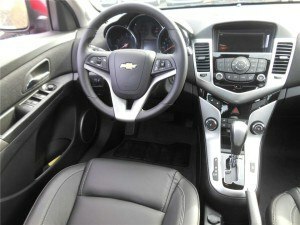 When I jumped into the Cruze, I had my phone synced to the Bluetooth in less than a minute and the Chevrolet MyLink system allowed me to utilize the USB input or the Satellite radio. 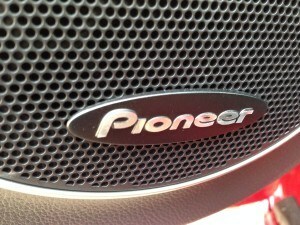 I really like how simple it was to integrate my technology, and even if all you need is local radio to keep you happy, the available Pioneer sound system will make it sound a little bit better. There are some other things I found really impressive about the Cruze. All models come with 10 standard airbags. This gives you a feeling of safety and security that may be lacking on other rides. Remote keyless entry also comes standard and this would eliminate my morning routine of awkwardly fumbling with a coffee cup and keys. I also found the interior to be really friendly to use. The materials are of very good quality and the layout of buttons was not in any way overwhelming. After spending the last few months working with and driving the Cruze, it is definitely at the top of my list when it comes time to replace my car within the next year. I am really intrigued and excited by the 2.0 Clean Turbo Diesel model and am eager to try it out. The best way to experience the Cruze is to come for a test drive. Sit in it, drive it, open the doors, press all the buttons, use it as you would in your everyday life. I think you will be genuinely impressed!